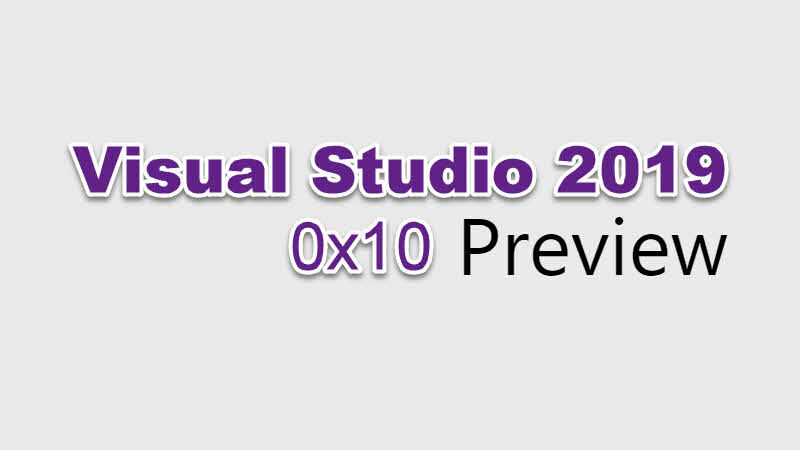 What's new in Visual Studio 2019 Preview 2? While your computer is in idle state, Visual Studio 2019 can now automatically download updates in the background so that you can continue using the IDE until it's time to install the updates. You can set this settings under Tools | Options... | Environment | Product Updates. You can now search for project templates by their language, platform, and project type tags through the search box in the New Project Dialog. The default list shows all available templates, while a list of your recently used project templates appears on the left pane for quick access. The Per-Monitor Awareness (PMA) experience, which was first introduced in Visual Studio 2019 Preview 1, is now enabled by default for users that meet the minimum system requirements of .NET Framework 4.8 and Windows 10 April 2018 Update. You can now see more detailed build progress information about the projects those are building. During during a build if you click on the background tasks icon available in the bottom left corner, it will display the current build target that is running. This can be useful to determine if the build is still running due to a long running target. Performance improvements have been added to reduce the time it takes for the IDE to create a new Xamarin project. It will now include the NuGet packages used by the templates as part of the workload installation in order to reduce package restore time. A new notification experience has been added with a new icon and counter experience to the status bar, a new toast notification mechanism for Visual Studio Updates & Visual Studio licensing expiration. Tags have been added in the Extensions and Updates dialog to help you quickly understand whether an extension is in Preview, is a Paid extension or is in a Trial period. Task List with filter set to Entire Solution doesnt display tasks/todos when the file is closed. VS 2019 Preview 1 - EF6 edmx file cannot be saved. vcruntime140.dll should be made available on Microsoft Symbol Server. Static Analyser, Custom Rule Set (C++) does not execute included default sets. VS2019 Preview: Azure Function publishing does not work. References window does not remember its position. Microsoft.TeamFoundation.Client, Version=15.0.0.0 assembly not found when create a new web project. If you have come this far, it means that you liked what you are reading (Visual Studio 2019 Preview 2 is now available for download).